In 'The Long View' (The Age essay supplement, 31 October 2007), Dr Tim Flannery exposed one of the things we all have to fear about a future dominated by global warming: the abandonment of faith in reasoned, market-based systems as a way for humanity to survive the threat. Dr Flannery is an expert on the causes and effects of dramatic climate change. He deserves praise for letting the average punter and government ministers alike know what's going on. Thanks to the efforts of many fine scientific minds like his, we now begin to understand that mankind is not-so-slowly cooking itself through its own avarice. And Dr Flannery's solution? Power must be transferred. Central environmental control and command planning must rule the day everywhere. We are told to assume total market failure in this respect — no fancy trading system will get us out of this one. Dr Flannery's vision is for a single, ruthless (but well-intentioned?) overlord, telling all people everywhere exactly what to do and how to do it. The challenge of climate change is real, but this naive solution has too many chilling precedents. Robespierre's Committee of Public Safety oversaw the French Revolution's Region of Terror. While it may seem a dramatic comparison, its birth was prompted by one basic public impulse that found its mirror in 'The Long View': things are broken, we need immediate action and a strong leader. Let us be charitable and put aside any impulse to take offence; the efforts of many are devalued by this childish statement. What precisely does Dr Flannery think politics is? A daily sound byte, guided solely by the politician's will to save his own tail? Well, let us assume it is. Would that pose such a problem? Surely, politicians — even the most cynical ones — would ignore community sentiment at their peril. There is simply no basis for suggesting that community sentiment on climate change would not find reflection in the actions of a popularly-elected Government. And, failing our ability to source some benevolent philosopher-kings to save the day (Stalin and Hitler didn't quite work out ... but keep looking, by all means), the three-year parliamentary term that the author derides is in fact the greatest guarantee for frequent refinement of climate policy in the service of public concerns. Some of the finest minds of the day are now working to develop viable models for global emissions trading. For instance, the California Global Warming Solutions Act sets clear and quite steep emissions reductions targets and then allows market-based mechanisms their head in achieving these targets. Whether perfect or not, the speed at which this complex work is occurring is surely a breathtaking development by any human measure. Economic history will probably judge it so. The case for total market failure has hardly been made by 'The Long View'. As to the case for central control and zealotry as a means to a brighter future, history tells us this is never the best response, no matter what the threat. An effective market-based solution includes and energises everyone in its scope: the right-minded private citizen, the industrial polluter, the innovative research scientist backed by market capital, the poor country that by blessed luck sits on exploitable carbon offsets and finds a new market for what was once worthless. To paraphrase Smith, these people would be getting out of bed each morning to heal the planet, for no better reason than their own, ever-reliable, selfish interests. Amen to that. We have Dr Flannery to thank for alerting the public to the perils of climate change. But anyone who admires humanity's proven faculty to reason its way past the threats to its own survival to date should be troubled as much by the underlying zealotry of 'The Long View' as they might be about the likely physical impacts of climate change itself. Luke Fraser is an industry executive with an interest in sound public policy who has worked as a chief of staff in a previous Federal Government. He lives and works in Canberra. Whilst "The Long View" hardly made the case for total market failure, it needs to be recognised that there have been strong influences at work, not least the USA coal producers, to ensure consumers of energy were fed disinformation about the impact of coal-fired electricity production for many years because their profits were threatened. In Flannery's "The Weathermakers" the author's concerns about reliance on the market mechanism are set out particularly having regard to the rate at which global warming is occurring. Since that seminal book we find the science and the data now suggest Earth's predicament is far worse than what we knew in 2005. I concur with the view that the Command Economy approach does not work, but there is a need for an intermediate approach, i.e. government intervention, in order to overcome the failure of the market mechanism. Urgent intervention is required lest we suffer our children and grandchildren to inherit a world whose ecology and economy is far less than that we inherited. I too have come to the view that democracy as we have it is a failed form of government. The weakness of our system is its need to persuade the 6-8% who determine change of government of the importance of a new approach. This group is not committed to either overall view of how society should be governed. Also I think they are in this position because they have not devoted much thought to the important place politics places them in a democracy. I instant the fact that so many in high positions in the British Civil Service gave advice to curb Hitler's rise to power, which was ignored because it was seen as impossible to persuade the majority of the electorate that decisive action was required. That delay insured that when action was taken the loss of life and costs was monumental. I believe the same will be true when effective action is taken to reverse climate change. I do not think the only option is between Democracy and Dictatorship. only a person living in the seat of government could write the above article. 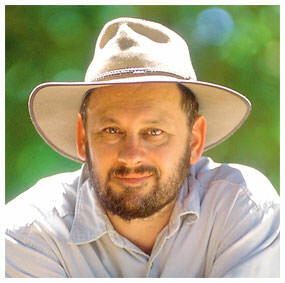 tim flannery has a most hands on approach to this problem and people like him are the ones the world should be listening to. we as a species have instigated a process with huge inertial potential. the geological time frames at which a democracy works (if at all) are not going to work here. there are no ministers who look to the long term, there needs to be global action now with the view on decades ahead.democracies are great things but can not solve this one. by the time the captain of the oil tank sees the dock and asked all on board what he should do, the inevitable would happen. no dock no ship no nothing.democracy isn't going to fix this one.they are great to live in but nothing is ever decided in a democracy. and what has hitler got to do with global warming, typical poly fear tactic. this is the future of every species. get you head out of canberra and look at the big picture. Mr Flannery may be wellread - wellstudied - an achiever and all the rest of it, BUT he has overlooked an important part of history: Mr Hubble. Hubble with his magnificent telescope made some very important discoveries. A MAJOR PART OF HIS WORK WAS(and IS) THE DISCOVERY THAT the Universe is in fact EXPANDING! e.g. THE PLANETS moving apart at a vast rate, including away from the sun! We will most likely be freezing our little booties off LONG BEFORE we COOK!! I'll bet you do not publish this one! Just in case, please let me know if you do. Furthermore have you ever walked outside and told the thunder, rain etc - to stop? What happened? It is no secret really: WE are NOT in charge here!!! The trouble with Flannery and his ilk is that they brook no opposition no matter how well qualified the opponent.There are any number of eminant climatologists who do not toe the dictortorial IPCC unambiguous global warming line.